The imperative to realize UN vision of positive peace through international cooperation has never been stronger, nor more urgent than today. Never before have we been so interdependent through the social, economic, and technological systems of our own creation, and never have we been able to so profoundly disrupt these systems through our actions, including the ecosystems of the planet. It would be difficult to name a pressing social, economic or environmental challenge today that does not call for a coordinated international cooperation. This trend will only get stronger with time. In the practice of international relations, it is common to look at the world as divided into the developed and developing, democratic and democratizing, rich and poor, North and South. Putting countries into distinct and simple categories serves as a conceptual tool for academicians and politicians alike. But it also obstructs our vision of the true diversity of humanity, and prevents us from understanding the shared values that make us one human family. I firmly believe that the only way to achieve and preserve peace within and also among societies is through mutual acceptance and the respect of cultural diversity. I stand for listening, understanding, arguing. In other words, I stand for true dialogue. “Dialogos” is a Greek compound-word widely mistranslated and often misunderstood, because of confusion between “duo” and “dia”. It does not mean a conversation between two people or two groups, but an acceptance, by two participants or more, that they will compare and contrast their respective arguments to the very end. Dialogue is accordingly a perilous enterprise, for it implies a risk that either participant may find his or her argument transformed, and thus their very identity put to the test. Dialogue retains, even when this is not apparent, a latent conversational quality; and this shines through in its written form. That keeps it alive. We need that kind of ongoing and open dialogue in order to achieve and maintain international peace and security. Only this way we can live up to the high expectations of our forefathers. We, the UN Ambassadors representing our countries are temporary occupants of this house, but what we do here will affect the global struggle for a peaceful tomorrow long after our mandates. Let us hope that during our tenures, despite the mistakes made along the way, we have set the right course for this venerable Organization. 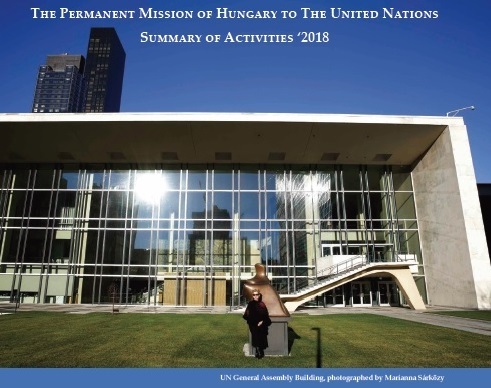 The Permanent Mission of Hungary to the United Nations wishes You a Happy New Year with our latest Bulletin, which recaptures the finest moments of our work of 2018! 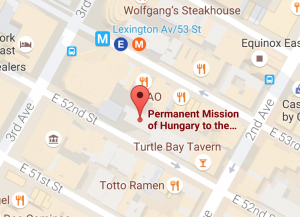 On 18 October 2018 H.E. 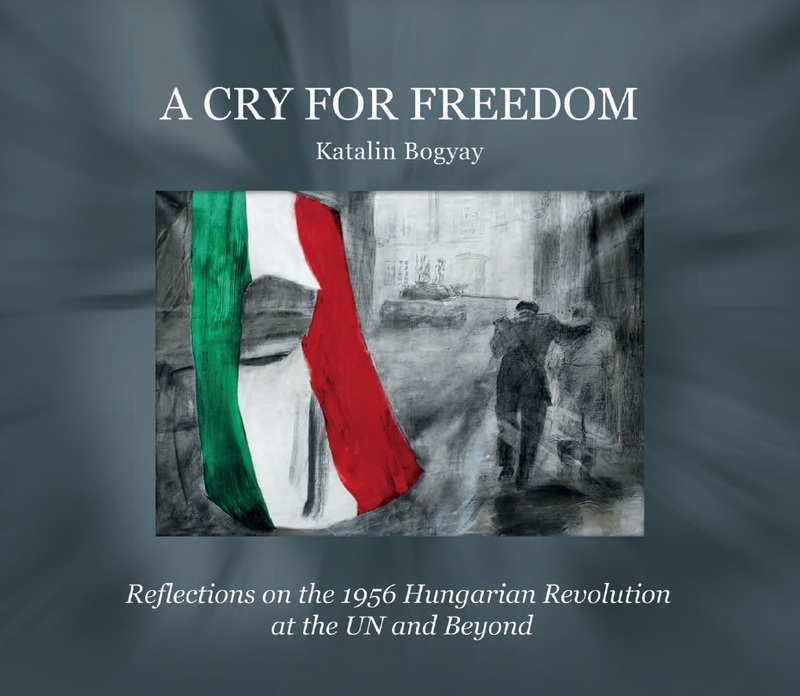 Mr. Ban Ki-Moon, former Secretary-General of the UN, was awarded the ‘"A cry for freedom" commemorative bronze statute by Ambassador Katalin Bogyay on the occasion of the Hungarian National Day commemorating the 1956 Hungarian Revolution. 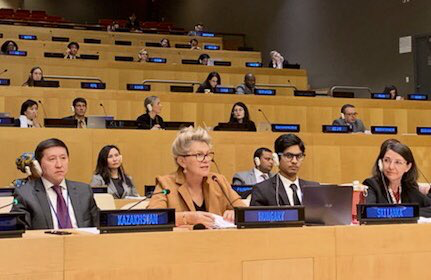 With the end of the sixth session on 13 July 2018, the intergovernmental negotiations on the UN Global Compact for Migration (GCM) got concluded. The outcome will be adopted at a conference to be held in Marrakech, Morocco on 10-11 December 2018. 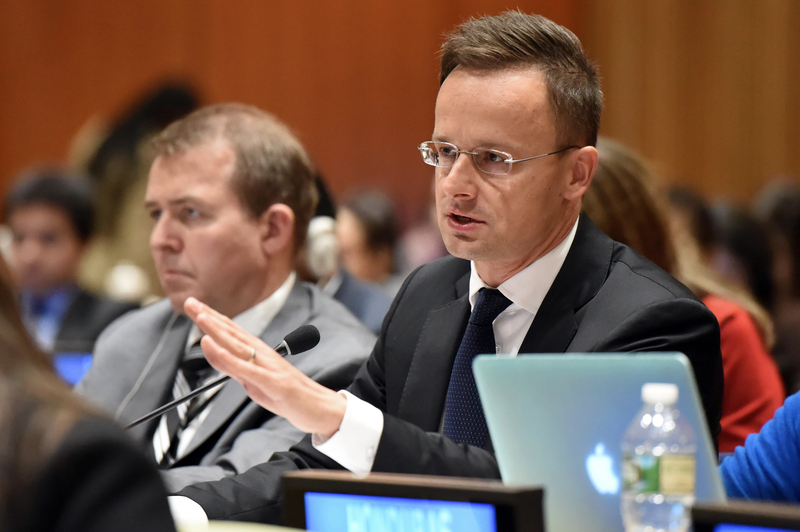 Hungary was represented at the closing session by H.E. Mr Péter Szijjártó, Minister of Foreign Affairs and Trade of Hungary, who delivered a national statement. 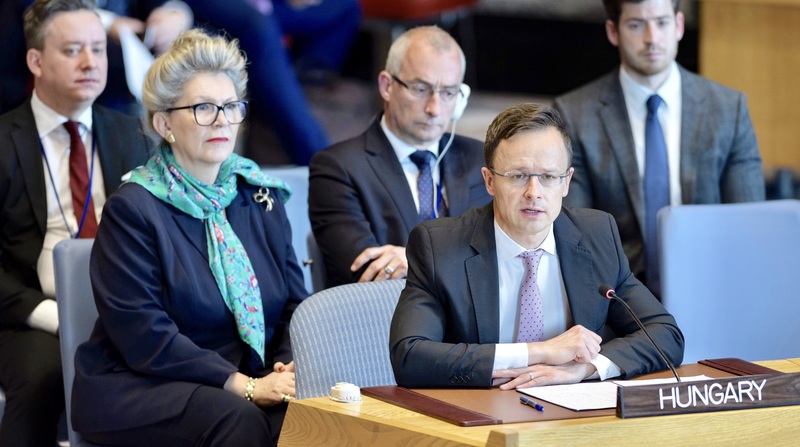 By thanking the co-facilitators for their efforts in leading the process, Minister Szijjártó expressed concerns on the GCM package and flagged that the Government of Hungary will consider it at its next meeting, with a view to launching the eventual disassociation in due course. 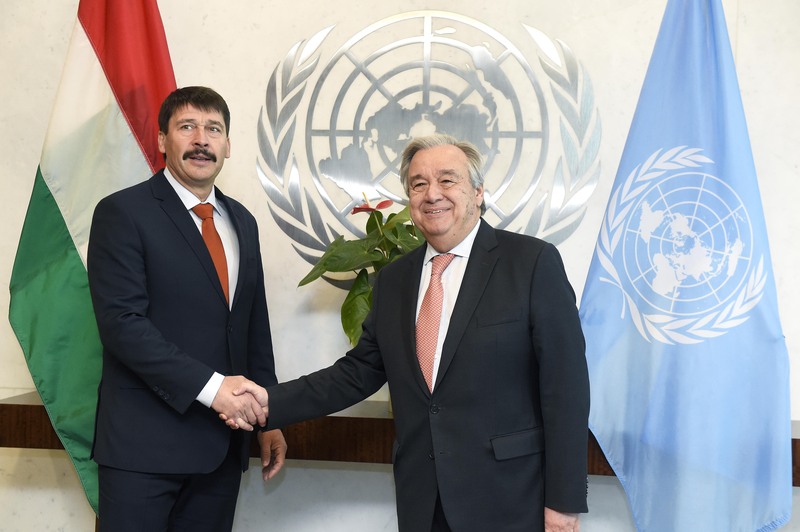 The agenda of the fifth round of intergovernmental negotiations on the UN Global Compact for Migration (GCM) consists of detailed discussions of the second revised draft of the document, as circulated by the co-facilitators from Mexico and Switzerland on 28 May. H.E. Mr. Péter Szijjártó took the floor on the first day in a national capacity and expressed Hungary’s views on the second revised draft based on the position that migration cannot be perceived as a positive phenomenon, while it presents risks and security challenges for the countries of origin, transit and destination at the same time. 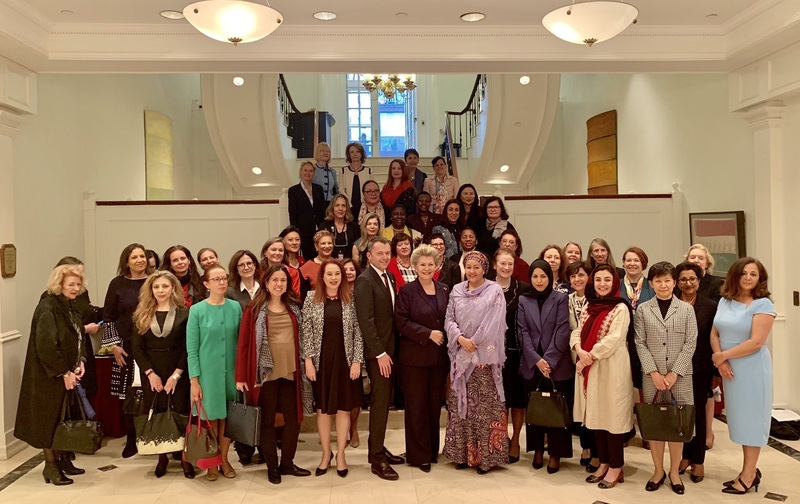 On Monday, 15 April, on the occasion of the latest Circle of Women Ambassadors luncheon, the Permanent Mission of Hungary welcomed President of the General Assembly H.E. Ms Maria Fernanda Espinoza Garcés, Deputy-Secretary-General H.E. Ms Amina Mohammed, Executive Director of UNICEF H.E. Henrietta H. Fore, Under-Secretary-Generals H.E. Ms. Izumi Nakamitsu, H.E. 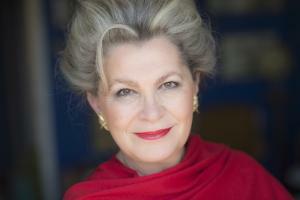 Ms. Catherine Pollard, H.E. 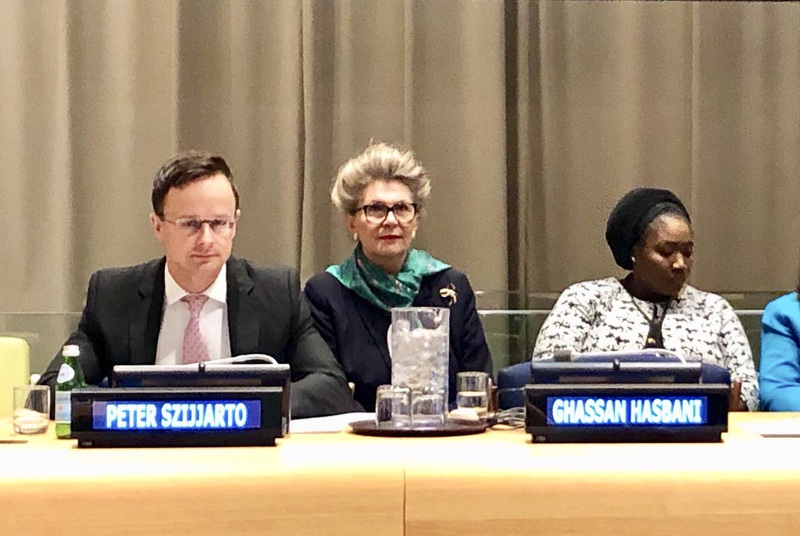 Ms. Alison Smale, as well as Assistant-Secretary-Generals, Ambassadors and Board members of Women’s International Forum, to discuss two key topics: the rights of persons with disabilities as well as preventing and eliminating sexual harassment at the UN. On 8 April 2019, H.E. 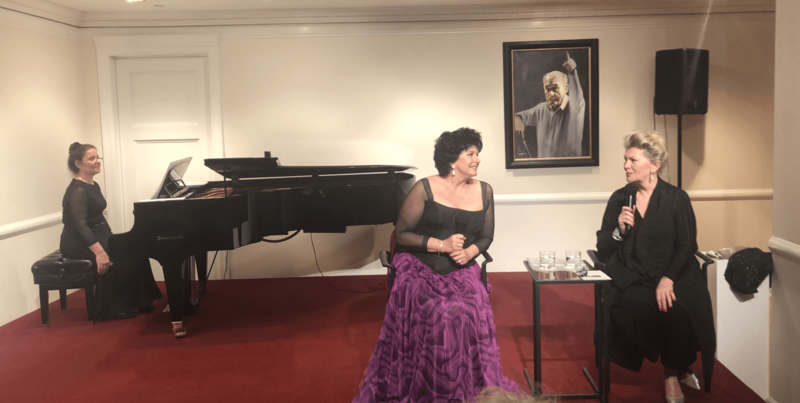 Ambassador Katalin Bogyay, Permanent Representative of Hungary to the United Nations hosted a Salon de Printemps with world-renowned Hungarian soprano, Ms. Ildikó Komlósi, who shared her story of success and sang some of the most iconic arias that have been inextricably bound to her name.